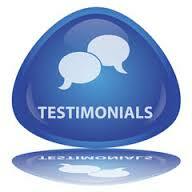 Here are some testimonials from my current/previous clients. They can give you insight into my accuracy. ★★★★★ “Kallan did a stay/go tarot reading for me just recently and it was very insightful and very detailed. My husband was also very impressed with the reading. It really helped us to make a major decision. I definitely HIGHLY recommend a reading and I will be using her gifts in the future. She is a very impressive reader. Kallan has also helped me in regards to some business decisions and I will be implementing those in the future as well. ★★★★★”Thank you so much for doing my Totem and Tarot reading. I’ve been pouring over it since it arrived and I am still speechless. I knew when I saw my first totem animal, (Dog), that this reading was going to rock my world. I have a connection with dogs. They (most of them) just love me and I love them back. I can walk by someone who has a dog on a leash and the dog will pull to get to me. And also, (out of the blue a few years ago,) I agreed to keep a clients dog and from that one time, a little side business came about. I won’t bore you with each card (totem), but I can assure you that not only did each card resonate a truth but also described me to a “T”. You know who I am after doing my report. It is that accurate. The tarot reading….. I cried for a few minutes after reading it. I felt it. Deeply. It’s all true. I’m struggling with taking my power back. I have given up a piece of myself and now I have to reclaim my power and that piece of me. I have no doubt that once I do that, the sun will shine. Thank you, Kallan! You are a blessing for me. You’ve helped me more than you know.” ~J.L.G. ★★★★★”Thank you so much for the tarot reading. It was jaw- dropping! I keep rereading it and am comforted knowing that I am on the right path. Every card spoke volumes to me and was spot on. I will be giving you glowing reviews on FB and to all of my friends. Thank you so much for the reading. I will be using you again! !” ~ Lynn G.